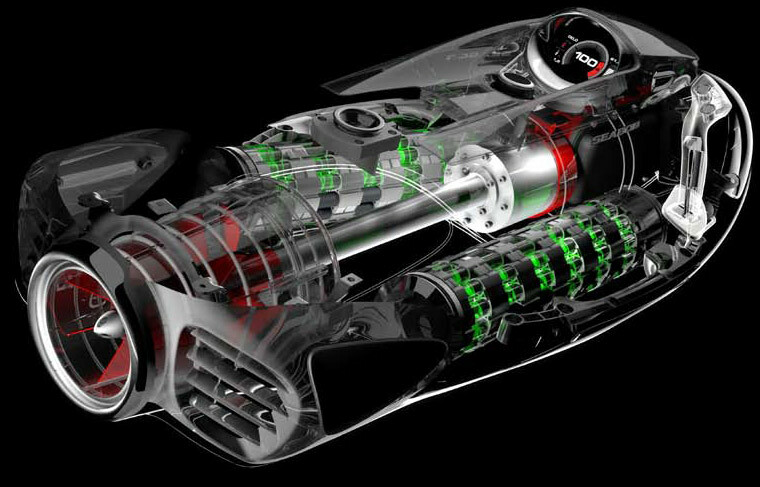 The Seabob is the absolute paragon of cutting edge technology. In order for the vehicle to live up to this claim, the drive unit was made using premium carbon elements, established ceramic coatings and precious metals resistant to salt water. Meticulously hand-crafted, this water sports vehicle is made of top-grade materials. The uncompromising quality standard is reflected in each and every detail. 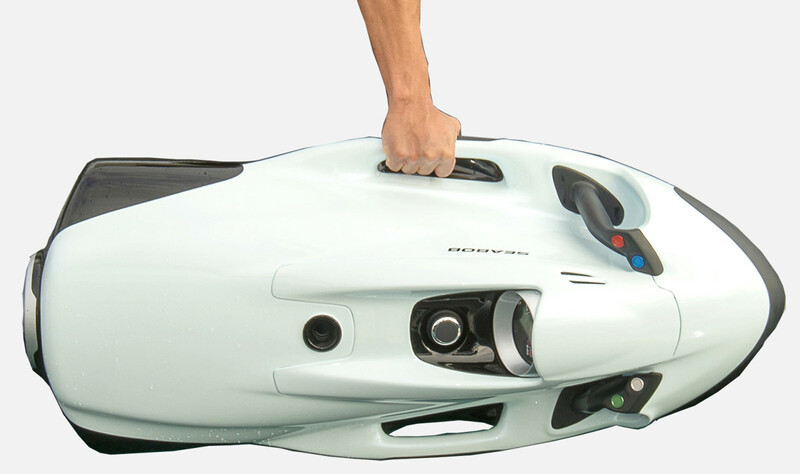 Easy handling was the uncompromising objective set when developing the new Seabob generation. For this reason, the challenge in terms of development was clearly defined. Low overall weight. Extremely stable housing. Powerful drive. 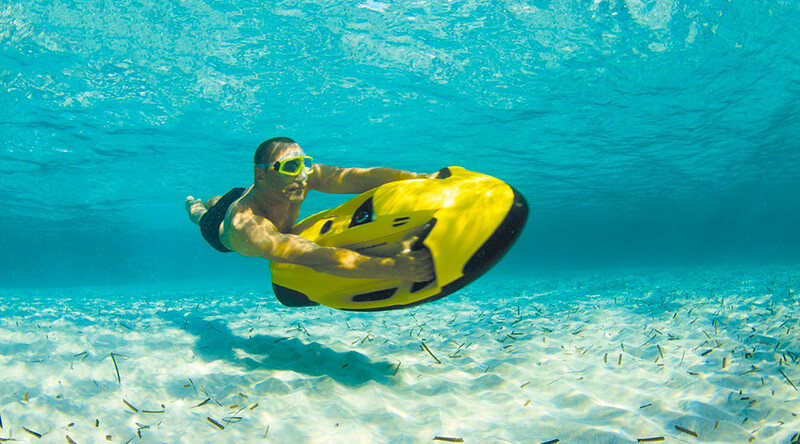 These properties make the Seabob a unique water sports craft. The vehicle can be used anywhere and offers optimal handling. 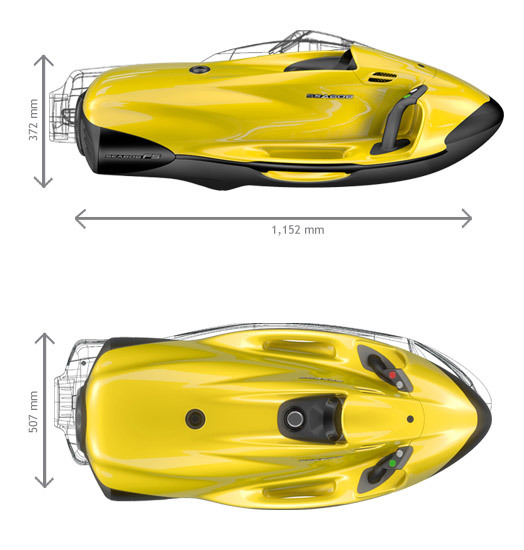 A Seabob is the absolute embodiment of state-of-the-art technology.The pilot steers his water sports craft via two intelligent Controlgrips with Piezo technology. Its design is facinating. Its concept unique. The Seabob is a real eye-catcher. Give it the colour of your choice. 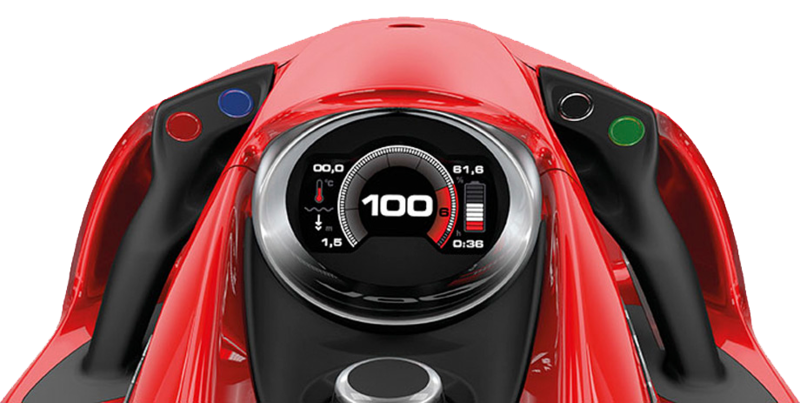 Exclusive colours add the finishing touch to the powerful and sporty image exuded by the Seabob. The special colours are specifically selected paints or multi-layer lacquer systems with special effects. These paints are applied laboriously and meticulously in order to lend your Seabob a personalised and expressive character. Get answers before you buy your Seabob. first hand experience and advice.